How safe is a plastic bag? 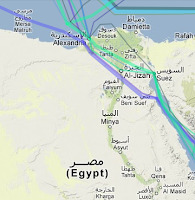 Many of the European-Asian Internet connections cross the Middle East both land and sea cables. The more these two continents are financially connected with each other the more valuable are the cable connections. There are still American-Asian and European-American connections, but their capability will take a huge hit if for instance TAE-network gets disconnected. And there are satellites, but how much there will be capacity left if a full spectrum war breaks out in the Middle East. 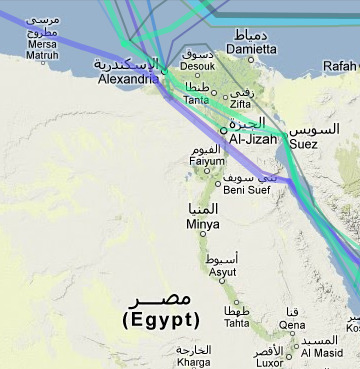 If this map is even close accurate, the European-Asian sea cable connections rely on Egypt. Egypt finally got their president, but the situation is not stabilized yet. During the Arab-spring's censorship, Egyptian government stated that they would leave international interconnections untouched. The uprising did not disturb the connections or did it? But what if the election result does not calm the situation but takes a step towards a civil war? Trans Asia-Europe Optical Fiber Cable crosses some stormy areas like Georgia (remember the conflict in 2008) or northern Iran. What happens to the connections if Iranian situation escalates? Will TAE-network be a hostage to get ransom in exchange for support? In such situation, does the connection benefit more than disconnection? Which side of the front would a disconnection serve more? Both sides have to consider pros and cons. If Syrian civil war breaks out to a full-scale conflict, then the TAE could get hit in several places even it does not cross Syrian borders. One part of TAE-network goes through Kurdistan in South East Turkey and Northern Iraq. It is obvious that the Kurds will take the opportunity towards sovereignty during an escalated conflict. As well, Turkey could use the moment for defeating Kurds rebellions inside Turkey, Syria and Northern Iraq. 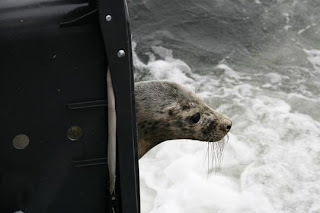 Sabotage, collateral damage and strategically disconnection are more likely options what come to the consequences of conflict escalation. There are several sea cable projects on-going in Africa. Are those enough to backup cable through Egypt? Russia is laying the Russian Optical Trans-Arctic Submarine Cable System (ROTACS) cross the Arctic Sea, it should be an alternative to TAE. Kazakhstan went to IPv6, congratulations! PS. How many times you have typed The Middle Earth instead of the Middle East?